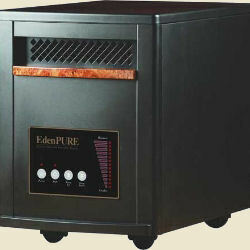 We are proud to carry the EdenPURE Portable Heater you have seen advertised and recommended by Bob Vila and Richard Karn. These advanced quartz infrared portable heater can help cut your heating bills and make your home or office more comfortable. 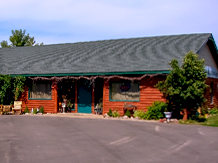 We have the GEN3, which heats up to 1000 sq.ft. in stock and ready for pickup. Come see it at work as we use it to heat our dining room section. Call or stop in for more details.